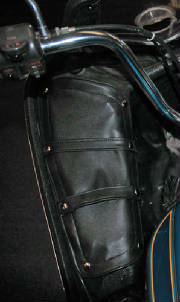 This is a reproduction of the orginal tonneau covers. We have left side vinyl tonneau cover with a pocket and we have left and right side vinyl tonneau cover with out a pocket for the Windjammer fairing models 1 thru 5 and SS. Sorry United States orders only. The cost with a pocket is $50.00 each, plus $5.00 shipping. The cost with out a pocket is $40.00 each plus $5.00 shipping. We accept check or money order. Sorry we do not accept PayPal. Orders shipped in 5 business days via USPS Priority Mail with a tracking number. Email order to: North's Upholstery, In the subject line enter tonneau cover. If you are not satisfied with the tonneau cover we will refund your money less shipping. 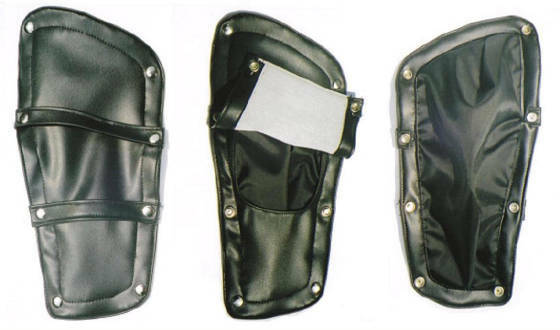 Also I have received emails concering recovering motorcycle seats. Email me a picture and I will email you a price for the cover. I would like to thank Bruce Vetter for all the detail information that he provide so I could make the tonneau covers. Thanks to Craig Vetter and my friend Dan for helping with the the fit. Thanks Craig for a link on your web page.